The human body feels fatigued after a work day. A great deal of that is caused by our good friend gravity. Because we all live on earth, gravity is constantly pulling down on us. For those of us that work at a desk, or stand all day, it takes a toll on our body, as circulation is pretty much at a standstill. The body needs good circulation to "feel good", as circulation helps the body eliminate waste and toxins. What good are filters if the dirty stuff don't make it there? The Evergain Aerobic Exerciser, used for just 15 minutes a day, will help the body regulate and increase lymphatic drainage. Lymphatic drainage is the process in which circulation is promoted and the body's toxins and waste products are filtered out and eventually eliminated. The Evergain Aerobic Exerciser will also help get rid of tired legs, due to water retention in the calf / ankle / foot region. The side to side chi swing action, with ankles elevated at a specific angle with the use of the Evergain Aerobic Exerciser will revive the body's natural "Chi" energy. The word "Chi", sometimes called "Qi Gong", comes from the Chinese language, meaning "Life Energy". Chi is essential to the well-being of all living creatures. Studies, research, as well as customer feedback have proven that using the Evergain Aerobic Exerciser has helped individuals regain the sense of well-being after a stressful day. A unique exercising machine for everyone without restrictive factors as to time, space, location and weather conditions. The only exercising machine that does not exert bodily pressure on limbs and joints, that the user exercises while in perfect relaxed condition. The gentle, low-impact motions guarantee desirables results without contraindications. Portable and easy to use, thus enhancing a sustained exercise routine. Oxygenation of the body's cells. Balances the spine, strengthens joints. Firms and tones the lower body. Increases range of motion & flexibility. Increases lymphatic drainage ---- detoxify. 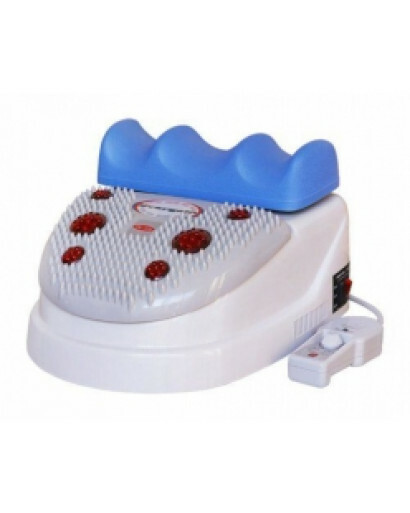 The gentle vibrating massage on the sole instantly revitalizes the tired legs. Stimulation on precise vital points (convergent points of nerve endings) of sole promote a wide range of healing benefits via Reflexology. Heat energy from the element stimulates tired cells and soothes the stress. The soft, rubberized foot cradle gives extra comfort to the feet while in rocking motions. 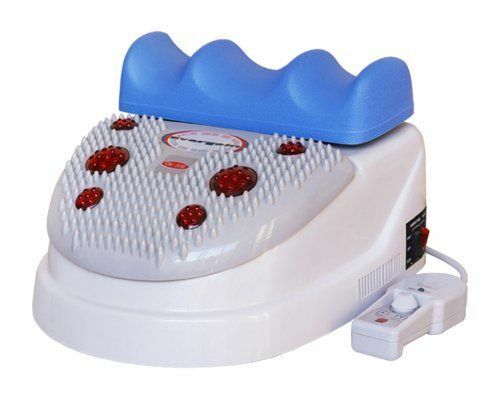 The permanent magnets embedded in the soft foot cradle effect a magnetic therapy. 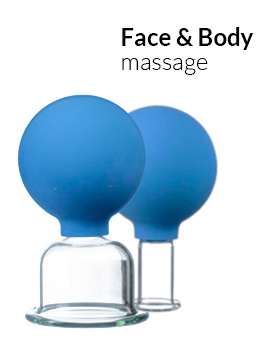 The Neck Massage function helps alleviate stiff neck muscles and promote neck flexibility. The Shoulder Massage function from the expanded and stronger massage panel relieves stiff shoulder and pain. The radiated energy from the FIR material on the massage panel invigorates cellular activities by way of its characterized physical "resonance", whether by Reflexology on the sole or by shoulder massage. The apparatus can not be used during pregnancy, in the presence of open wounds and fresh injuries, osteochondrosis in violation of the integrity of the disk, in oncology, cardiovascular diseases. Also it is not recommended to use the simulator in the case of advanced idiopathic scoliosis, in the case of fresh intervertebral disc herniation (especially during an exacerbation! ), Bleeding and Ben Lowe syndrome.